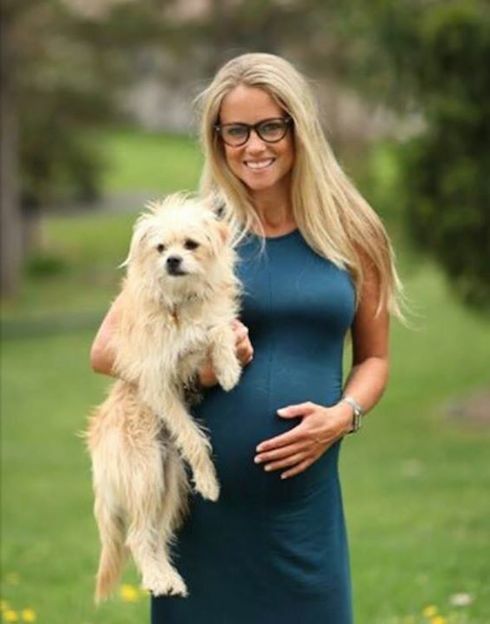 Born and raised in Lake Orion, U.S. Nicole Curtis is widely known as the star of the HGTV home improvement show, Rehab Addict. But she is becoming the headline lately for the serious problems in her personal life. Before becoming a successful reality star, Curtis worked as a waitress at a few different fast food chains such as IHOP. According to People, she took a friend’s advice and applied for the job at Hooters, after a few waitressing jobs. At the age young age of 18, Curtis bought her first home in Tampa, Florida. In an interview with Quirky Inspired, she said that she was not able to afford a pretty home at that time and bought the ugliest Ranch for only $52K. She paid $596.42 a month in installments. Interestingly, believe it or not, Curtis once bought the house for $1.00. She finally sold the house for $145,000 after spending around $100,000 to fix it up. According to The Weekly Standard, Nicole hangs a flag outside of every house she renovates. It seems that is the way which shows her patriotism towards her nations. Curtis and her ex-husband Steve Cimini became the parents for the first time after she gave birth, Ethan, 19, when she was just 20-year-old. At the time, Ethan’s father Cimini missed his birth because he was spending his days in the prison for a DUI manslaughter. The couple also spent a few years living together after his release. However, they didn’t last long and eventually separated in September 1998, according to court documents obtained by Radar. Curtis did everything in her power to hide the news from the Medias and was extremely private about her second pregnancy with son Harper. According to The Detroit News, currently, she is in a custody battle over with the kid’s father, Shane Maguire. Curtis made the public announcement about her second pregnancy in 2015, after much speculation. It was reported that Curtis said that Harper’s father Maguire wasn’t happy to become a father and he also said he couldn’t have been happier to be a father when he filed for joint custody of their son. Curtis and her ex-boyfriend, Shane Maguire are locked in a nasty custody battle for their son, Harper, for over one and half years. And the problem is getting progressively worse rather than approaching a light at the end of the tunnel. Maguire filed the sixth motion against Curtis, in April 2017, claiming that she is keeping him from meeting his son, despite the court ordered visits. According to court paper files, Curtis claimed that their son Harper is sick and thus unable to fly. It seems something she has done to avoid taking Harper to his father. Maguire reported that he also took a plane ticket to meet his son in March 2017. But Curtis told that she and Harper would be in Atlanta that weekend and she has not responded to any of Maguire’s claims. Curtis has a fond attachment to her grandparents. She purchased back her grandparent’s old house which she restored in season 7 of her show. Her grandmother passed away in late 2015. Whereas, her grandfather is residing with her for a long time. Previous Post: 5 Things You Didn’t Know about Ari Melber’s ex-wife Drew Grant Who is Drew Grant?